Rome-based studio Zuccon International Project has entered into a new partnership with Tuscan shipyard Bluegame to collaborate on the restyling of two of the shipyard’s historic models. The new agreement announces another three-year partnership between Zuccon and Bluegame’s parent company Sanlorenzo Yachts – following almost three years of collaborating. The partnership starts with the aim of restyling the two historic sports utilities BG40 and BG60, which were designed by Bluegame founder Luca Santella in the early 2000s while retaining and consolidating the yard’s original design philosophy. Naval architects Martina and Bernardo Zuccon, daughter and son of the studio’s founder, are working closely with Santella, to update the style of the two boats in coherence with the initial concept. Both the entry-level BG42 and the BG62 are defined by “life on board” that is predominately outdoor, offering an entirely deck-based experience. The concept originates from the world of sailing yachts where Santella began his career and is a characteristic that the architects at Zuccon have decided to highlight further. The firm’s work will focus on diversifying the ways the exterior spaces can be used, without neglecting the liveability of the night area. This extends into the interior layout with the intentions of improving their versatility. 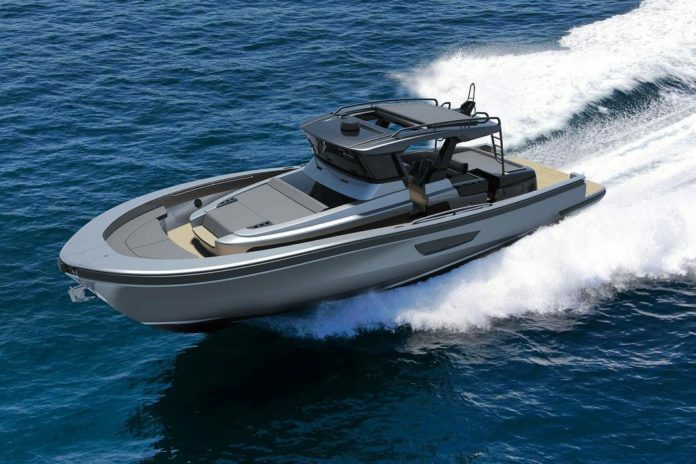 The two restyled models, to be launched in the course of this summer, will have their official debut at the upcoming edition of the Cannes Yachting Festival in September.